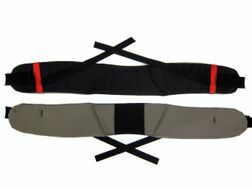 Replacement Hipbelt for your CiloGear WorkSack. Please note, both hipbelts in the picture are male. The female hipbelt has substantially more arc in it. In a pinch, feel free to use this product to order a hipbelt for a 30L or 75L but please be explicit and add a note in the order field telling us which model hipbelt you are looking for!